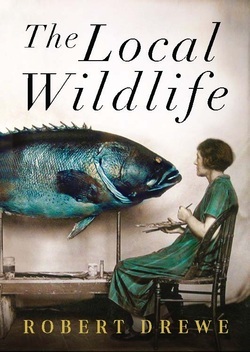 Robert Drewe's next book, The Local Wildlife -- humorous short, short stories of the Northern Rivers -- will be published by Hamish Hamilton/Penguin in July 2013. Out now: Robert Drewe's latest book is the memoir, Montebello. Montebello continues where Robert Drewe's much-loved memoir The Shark Net left off, taking us into his mature years. In the aftermath of events, both man-made and natural, that have left a permanent mark on the landscape and psyche of Western Australia – the British nuclear tests in the Montebello Islands, the mining boom, and shark attacks along the coast – Drewe examines how comfortable and familiar terrain can quickly become a site of danger, and how regeneration and renewal can emerge from chaos and loss. In this moving sequel to The Shark Net, and with his characteristic humour, frankness and cinematic imagery, Drewe travels to the Montebellos to visit the territory that has held his imagination since childhood. He soon finds himself overtaken by memories and reflections on his own 'islomania'. In the aftermath of both man-made and natural events that have left a permanent mark on the Australian landscape and psyche – from nuclear tests and the mining boom to shark attacks along the coast – Drewe examines how comfortable and familiar terrain can quickly become a site of danger, and how regeneration and love can emerge from chaos and loss.